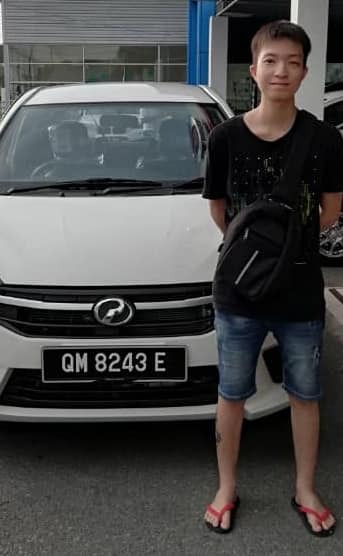 Being a Grab driver is a good way to earn extra cash. That’s why so many people are doing it! You meet people from all walks of life – super friendly ones that make your journey worthwhile, and sometimes ones that test your patience. But hey, that’s part of the fun of it right? Well, a Grab driver has certainly caught everybody’s attention lately. 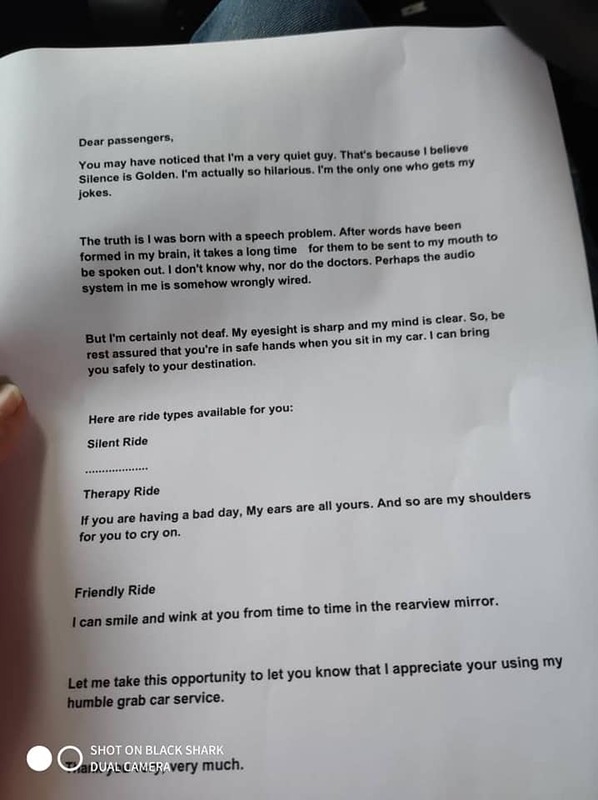 Yes, the Grab driver actually hands out a printed A4 paper to his passengers introducing himself. He describes how he may be a very quiet guy, but also, actually very hilarious. 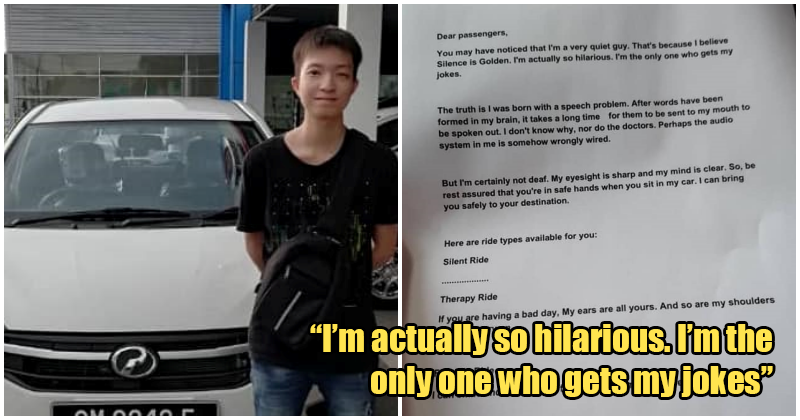 He even lists several ride types that are available to the passengers, of which are “the silent ride”, “therapy ride”, and “friendly ride”. Give this man a cookie lah! Netizens who saw the post expressed how genius this idea is and some wish they could have him as a Grab driver. “He looks so innocent and humble.. I would love to be in his ride as i prefer silent ride,” one commentor wrote. “Looks to me like he’s a nice guy and nice to chat with,” another said. Well, have you ever had an interesting Grab ride like this? 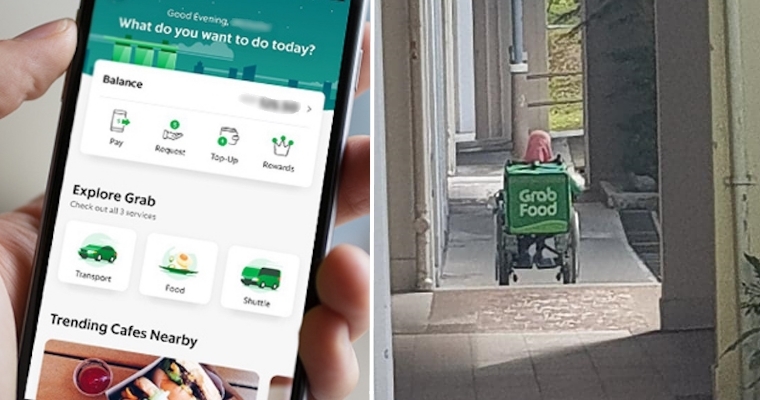 Or have you done something this unique as a Grab driver yourself? Share your experiences with us in our comments section!